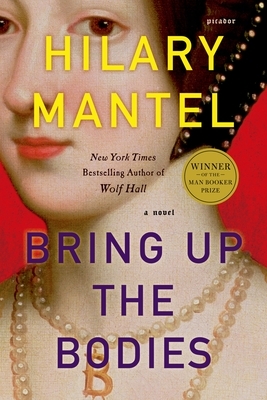 The sequel to Wolf Hall, Hilary Mantel's 2009 Man Booker Prize winner and New York Times bestseller, Bring Up the Bodies delves into the heart of Tudor history with the downfall of Anne Boleyn. The novel starts off with a description of hawks soaring in the sky and swooping in to slaughter their prey. In the same manner, the novel closes off with an image of a fox attacking a hen coop. What is the significance of these animals and what do they symbolize? How has Cromwell’s upbringing influenced him to become the shrewd and ambitious man that he is? What is the significance of Cromwell refusing to adopt the coat of arms belonging to a noble Cromwell family even as he widens the chasm between his father and himself? How does Cromwell view family and how is it different from his own experience growing up? How is King Henry VIII described in the novel? Is he self-serving, or does he truly believe in the validity of his actions? Does he come over as a sympathetic character? Katherine is accused by Cromwell of causing the split within the church, and of endangering her daughter Mary, by her stubborn resistance to the King’s wishes. Do you view Katherine as a relentless and self-indulgent queen or is she noble for staying true to her beliefs? Cromwell believes that England “will keep spiraling backwards into the dirty past” unless blunders are forgotten and old quarrels ended. How does this belief influence his actions in trying to build a new England? Does the king help or hinder him in this urge for renewal? How far are Cromwell’s actions unselfish, and how far are they self-serving? There is enormous power in a woman’s gaze. How do the women in this novel utilize their feminine wiles to their advantage? What effect do they have on men subject to their lure, and what does this tell you about women’s power over their male counterparts? Birth and is a major conceit throughout the novel. As “nails give birth to nails,” are children the product of their parents? Consider the parent-child relationships in the novel. What influence do parents have on their progeny? Does the novel make you reconsider your view of the Tudors? The story concludes with Cromwell’s claim that there are no endings, only beginnings. The country now has a new queen and a new leading family. What does this mean for England’s future? What do you think Cromwell’s role will be in the new order? The execution of Anne Boleyn is one of the most frightening moments in English history. Anne’s last words are scripted to appease the King. What do you think would have been Anne’s last words had there not been any consequences?